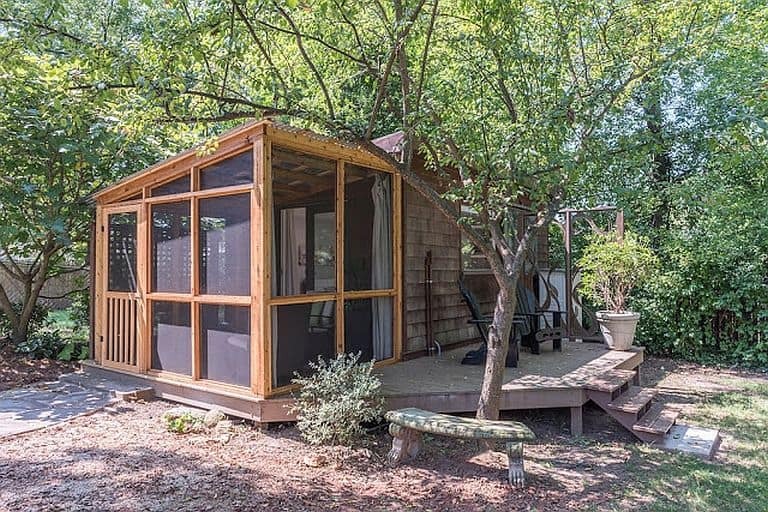 Close to Lookout Mountain, Ruby Falls, Georgia’s Cloudland Canyon State Park, and the college-town culture of Chattanooga, the northwest Georgia / southeast Tennessee area is filled with recreational opportunities both outdoor and urban. 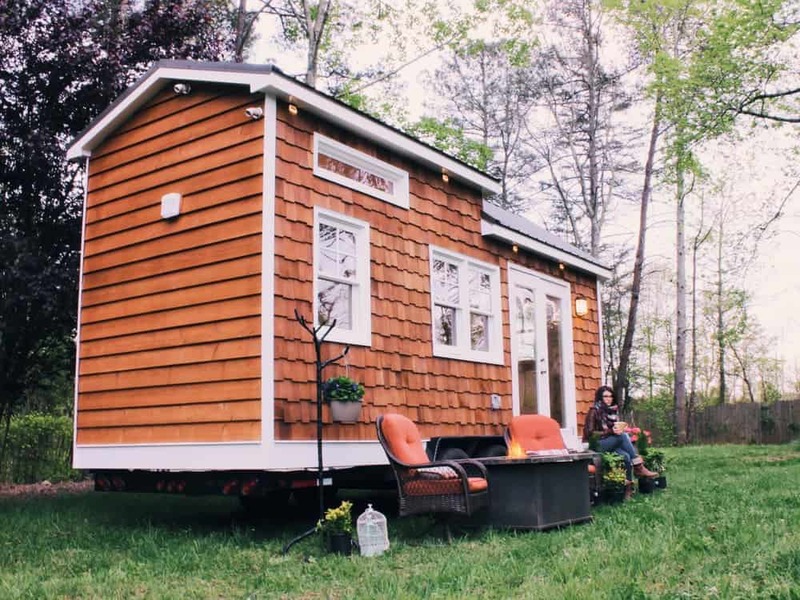 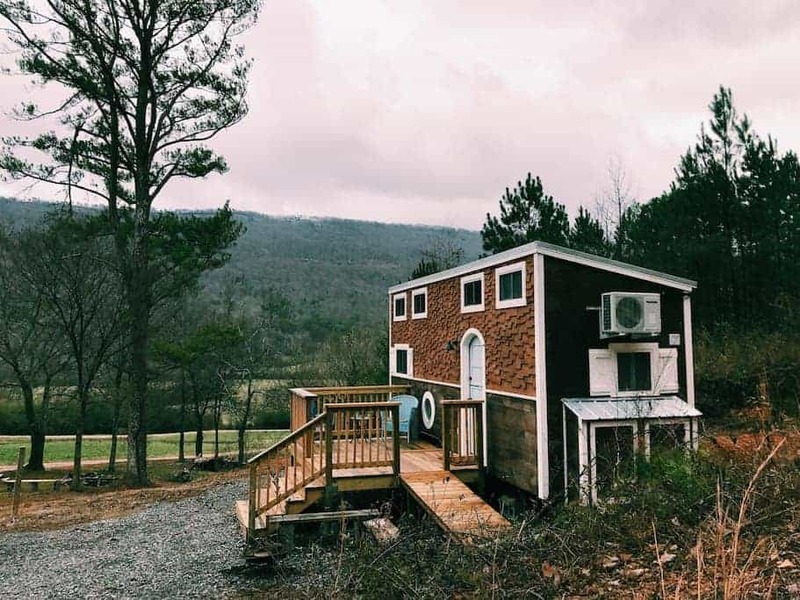 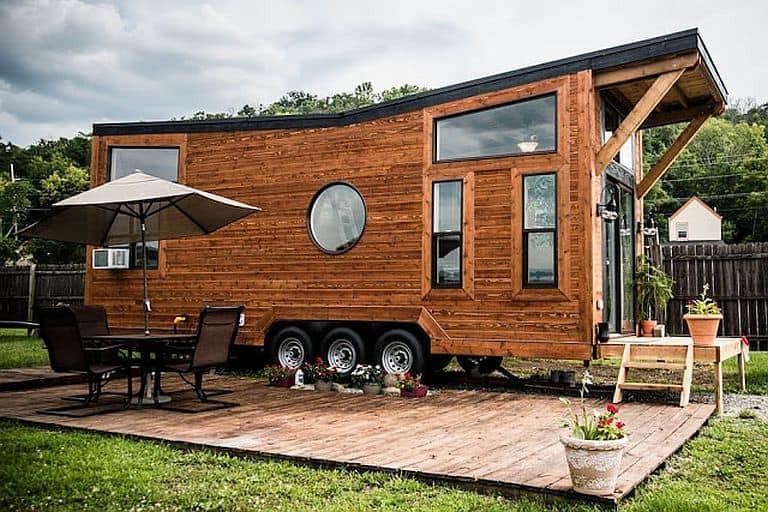 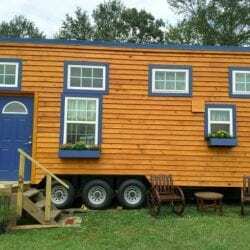 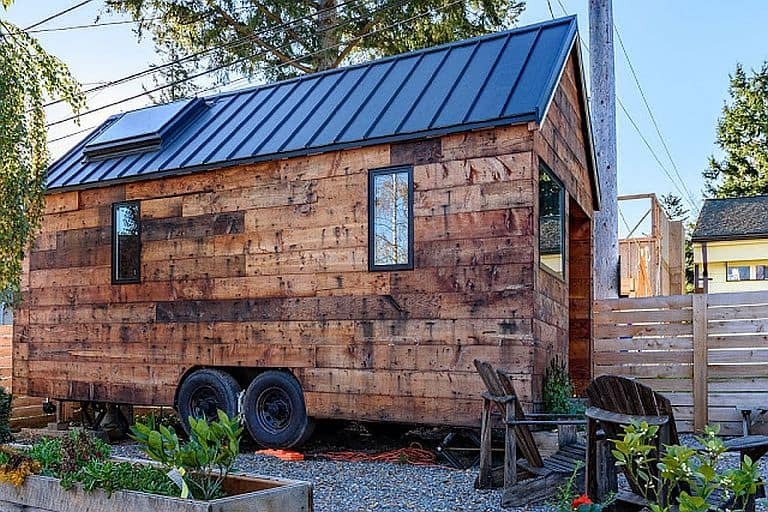 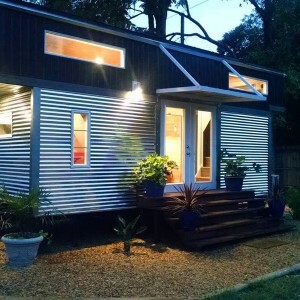 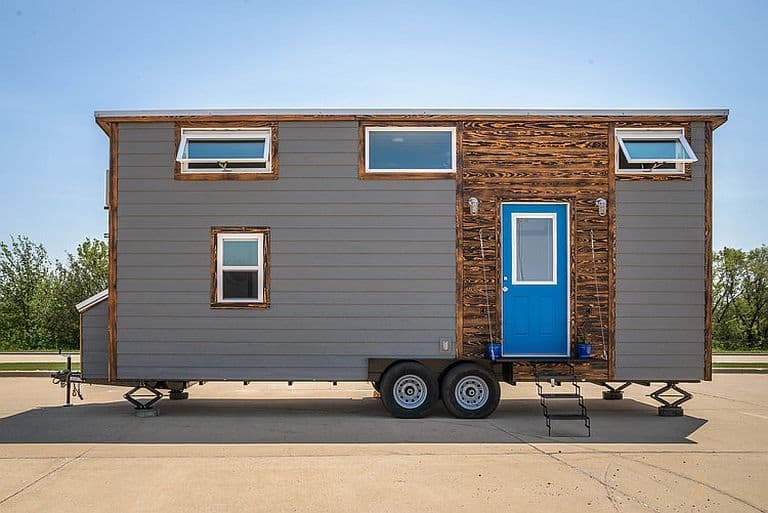 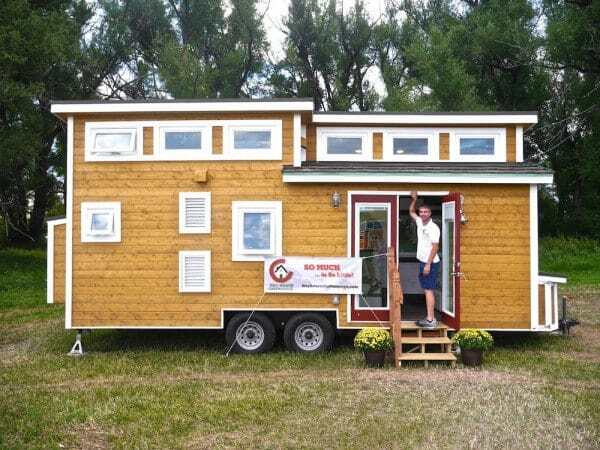 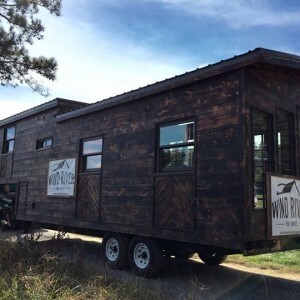 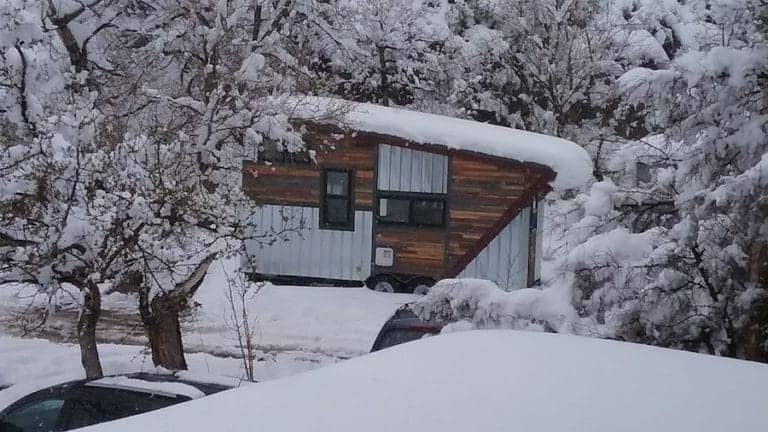 It’s also home to a couple of great tiny house companies, Wind River and Tiny House Chattanooga, but credit for the Old Blue Chair Tiny House, an Airbnb rental on the Georgia side of the line, goes to a builder from over near Memphis: Tennessee Tiny Homes, which made our Top 10 list a couple of years ago on the strength of its high-quality, low-cost Reed and Wedgie models. 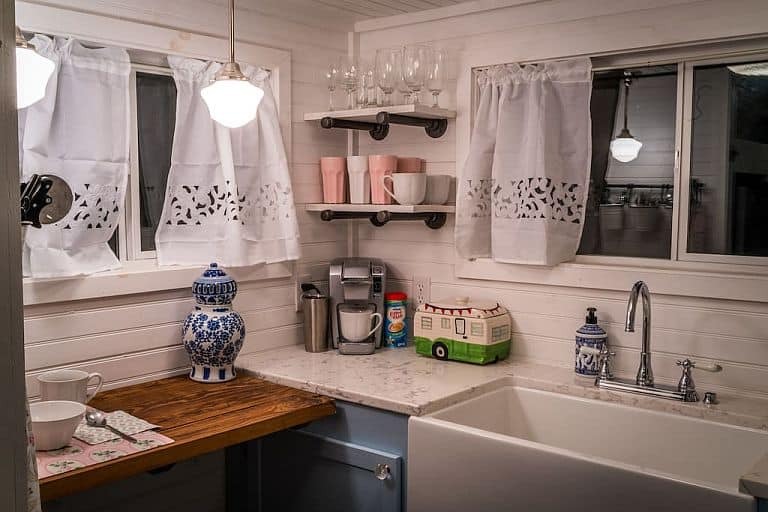 Like those, the Old Blue Chair boasts a compact but well-executed interior. 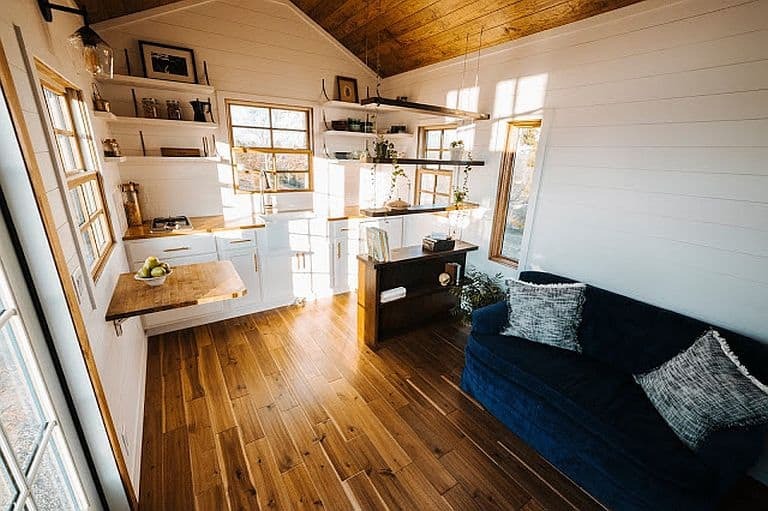 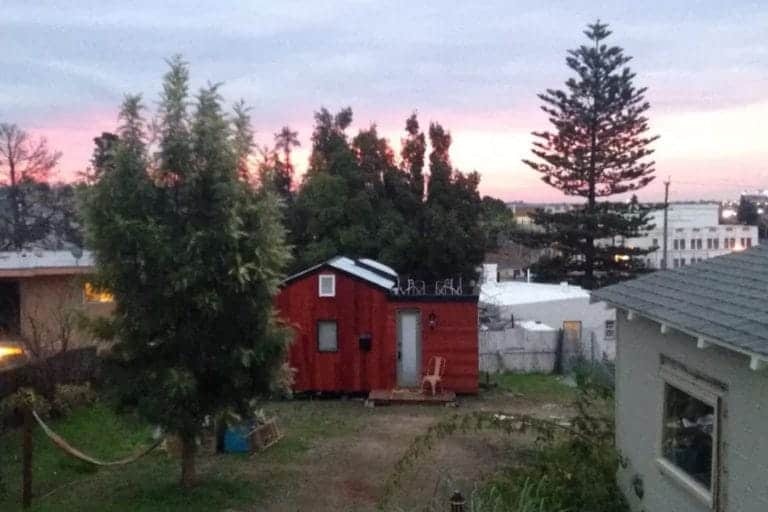 With two lofts and three beds, it can actually accommodate five or six guests, so if you’re traveling with friends, bring them along – proprietors Joe (who designed the house with wife Erin) and Brian charge $130 weeknights / $150 weekends no matter how many people are staying. 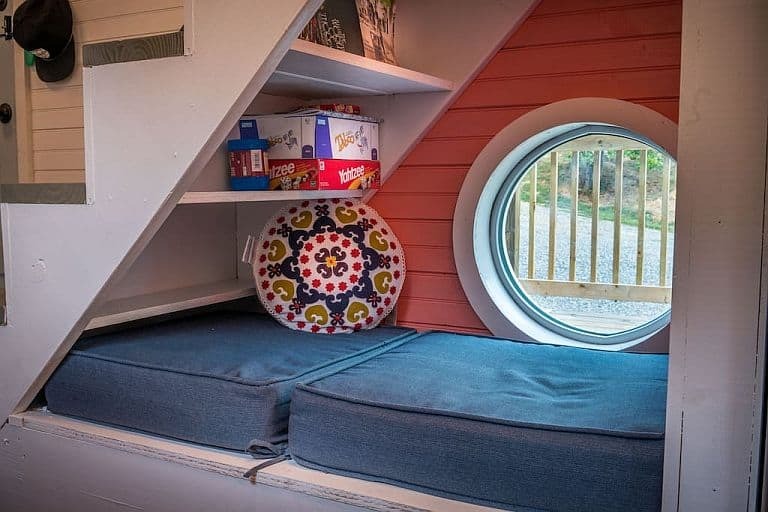 The reading nook under the stairs looks like a great place for a nap. 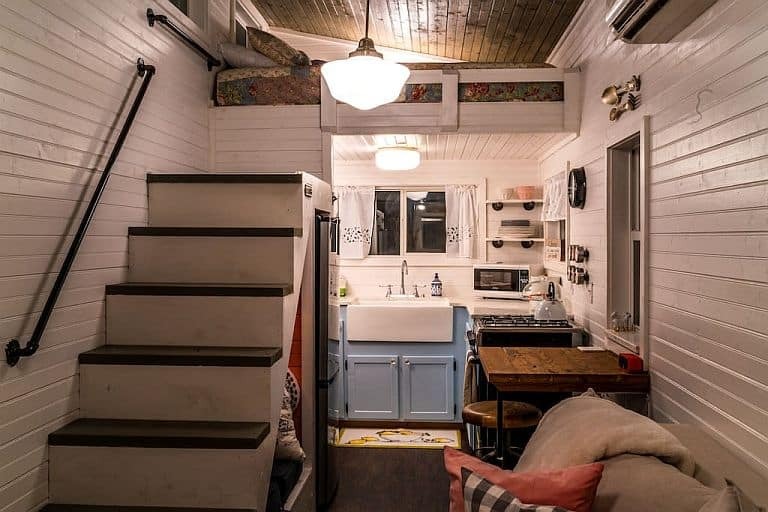 A giant sink and four-burner gas oven highlight the fully equipped kitchen. 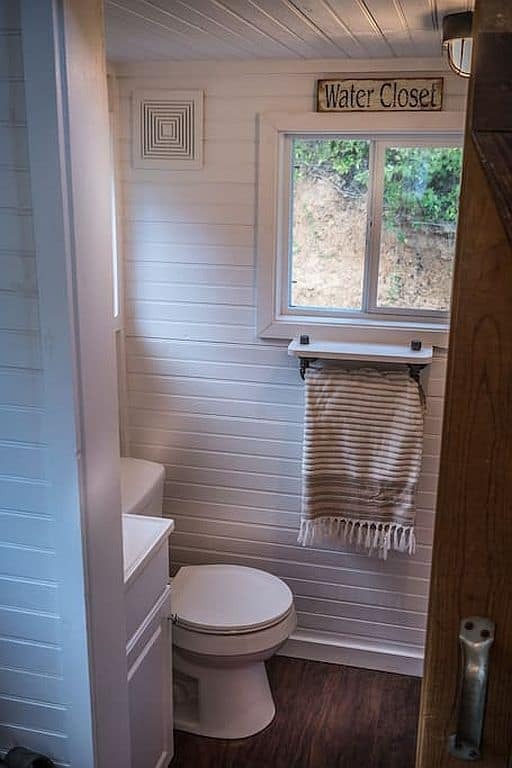 As the sign implies, that’s a flush toilet. 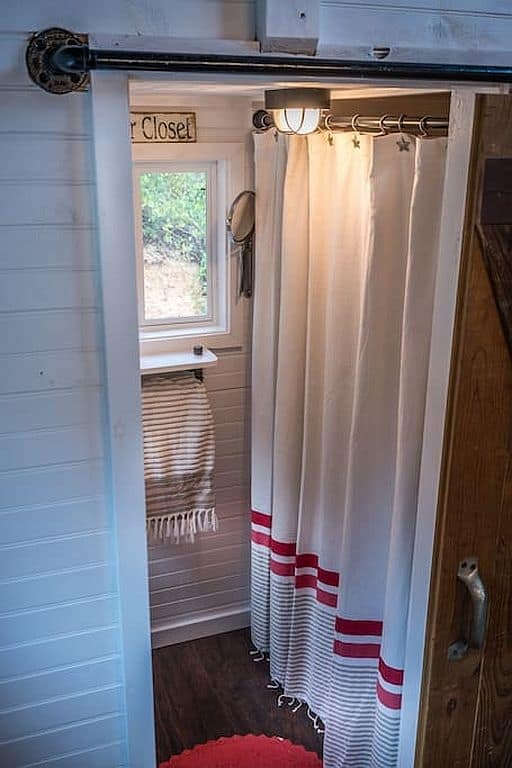 Behind the curtain is a double shower stall with a rainfall showerhead.